We're in an age where quality mashup albums are just as artistically appreciated as something built entirely from scratch. My Sick Uncle has produced just such an achievement. 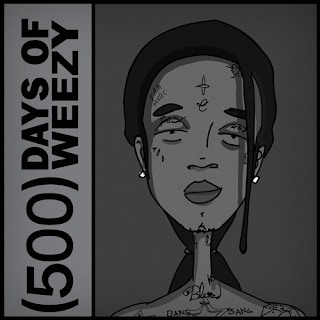 (500) Days of Weezy is a mixed between Lil Wayne's work and the soundtrack for the 2009 film (500) Days of Summer. And the beauty of this newish genre is that any listener can find something that's familiar to cling to while at the same time challenging everything that's familiar about those songs. The album includes mixes with Feist's "Mushaboom" retitled "Mushababy," Regina Spektor's "Us" reworked as "Us (Me and Mrs. Officer)," among notable music by Simon & Garfunkel and The Smiths. The biggest treat features interview excerpts with Lil Wayne and Katie Couric titled "Let's Get High (With Katie Couric)." My Sick Uncle does his mashing subtly and adeptly. It's an interesting homage to the rapper's life and music, but also a critique of his excess. (500) Days of Summer is a film about true love existing, finding it, and holding onto it, and that sentiment is reflected in the musical choices on the film's soundtrack. Lil Wayne, though, just isn't the sentimental type. His lyrics focus on getting high, and getting laid, often subjecting women to subjective/submissive roles. He's not about love, and yet, these two sets of material find their way together. My Sick Uncle seems to understand the irony of the pairing, the way that these opposing philosophies clash, and yet he succeeds in his creation because the beats are there, and really, the lesson in any mashup, but perhaps especially this one, is that music is beats and notes. The sweetest song, and the most detestable one are so closely related that they really just flow together like two tributaries of a vast river, and then that river goes out to the ocean, and all the music mixes as one. 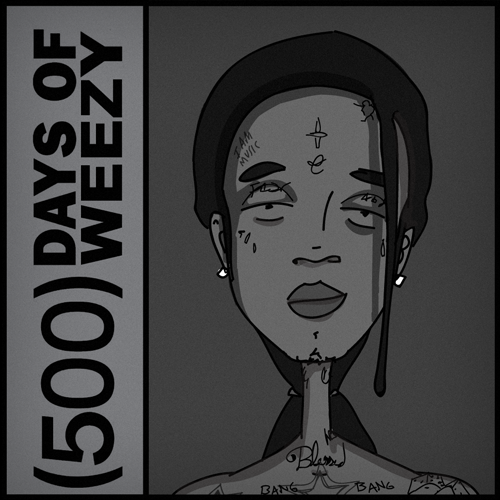 You can stream for free or download (500) Days of Weezy at 500daysofweezy.com.